Family Friendly A great out-and-back for kids and families. This is great day trip to explore the swimming holes, scenery, and rock climbing areas of lower Barton Creek greenbelt area. 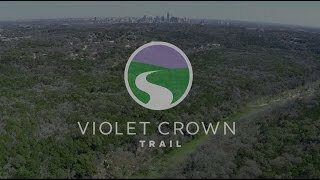 This hike is a fun and practical way to experience the entire Barton Creek greenbelt system as well as the scenic downtown Austin trails that continue off from the greenbelt through Barton Springs, Zilker Park, and the Shoal Creek downtown section. If you have already done the downtown day trip around Lady Bird Lake Trail, then this route will take you deeper into the Austin greenbelt experience. Start early. Bring sunblock. Bring food or eat before you head out, and bring plenty of hydration as you won't find much along the way. For this trip you'll park just off the Spyglass Drive and Barton Skyway crossing. You'll see the trailhead for the Barton Creek Greenbelt Access Trail just across the street from Taco Deli (which, by the way, is a great locals taco stand!). Along the greenbelt, there are a ton of nice spots to rest and even try some basic rock climbing if that's your interest. The highlight of this route is at the halfway turn-around point where you arrive at the Barton Creek Falls and sculptured rocks area. This one of the most popular locals spots around in the summer or whenever the water is up. The hike itself is pretty straightforward, and this route allows you to access the Barton Creek Falls without having to deal with the heavy traffic and often over-crowded upper trails near the falls themselves... this is the experts back way into the falls! As with most trails and hikes around Austin, this is a very dog friendly/fun route. First big hike at Barton Creek..